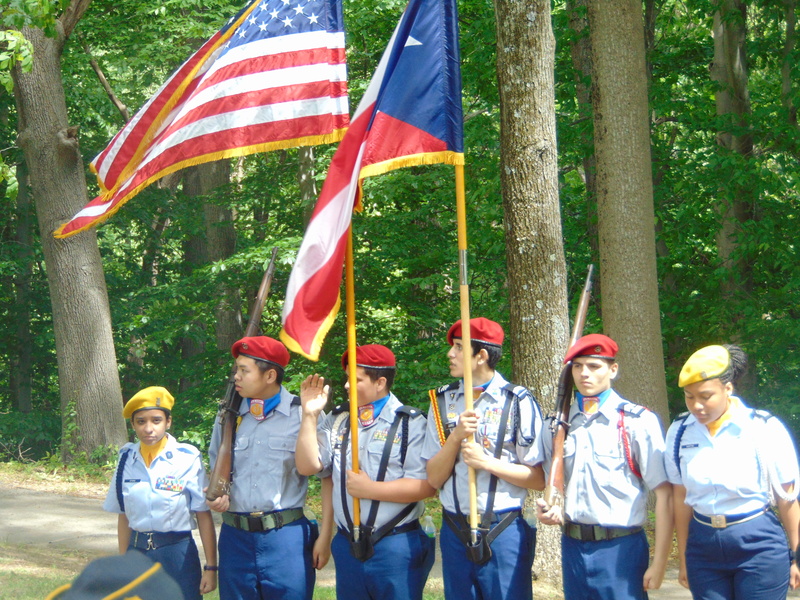 Philadelphia – With a 30 ft. x 50 ft. Puerto Rican flag billowing before a statue of a kneeling General George Washington as a background, members of Latin American Legion Post 840, along with more than one hundred family, friends and guests joined Commander Jose M. Melendez and former Commander Jose Rivera for their 38th annual Memorial Day ceremonies, Sunday, at the Puerto Rico Monument of the Medal of Honor Grove at the Freedoms Foundation at Valley Forge. 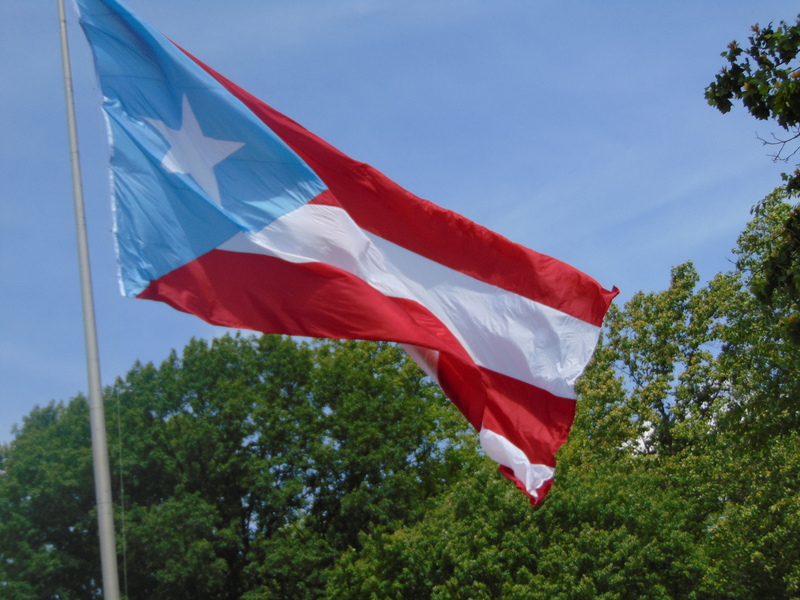 The immense flag, a gift of the recently reelected Councilwoman Maria Quinones Sanchez. “We did our job,” asserted Hector Maisonave, the Latin music entrepreneur and a member of the historic 65thInfantry Regiment, “Borinqueneers, speaking of the remarkable military record of the Borinqueneers during WWI, WWII and the Korean war. Despite being the last segregated unit in U.S. military history, facing discriminatory treatment and criticism for the “unacceptable” practice of speaking their native Spanish language, “We did our job,” repeated Maisonave. ‘We did our job at Jackson Heights and we did our job” at several other battles of the Korean war. 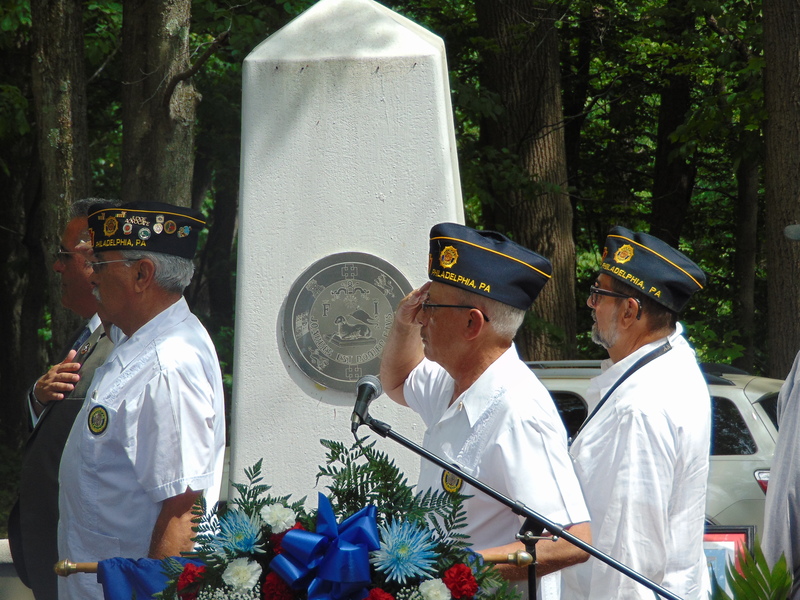 While paying tribute to the heroics of the nine Puerto Rican Medal of Honor recipients – four from the Korean war and five others from the Vietnam war – Jose M. Melendez, Commander of Legion Post 840 and Chief Inspector of the Philadelphia Police Department (Retired), noted, “We should be here to honor all those who served and are no longer with us. And also think about the families, the families that no longer have” Jose, Carlos, Juan or Fernando with them. Noting that the 65th Infantry was a relatively small unit and that “we all knew each other,” Mr. Maisonave recited the heroic actions of his friend, Master Sergeant Juan E. Negron, who returned to Puerto Rico after Korea to become an educator, and is the most recent recipient of the Medal of Honor. With former Commander of Jose Rivera (USMC, Vietnam), presiding over the two-hour ceremony, the names and gallant actions of the nine Medal of Honor recipients were recalled by Jose Figueroa, a Veteran and retired Philadelphia Police Officer, Juvencio Gonzalez, USMC Veteran and Special Asst. to Lt. Gov. Stack, Candida Gonzalez, Pres. 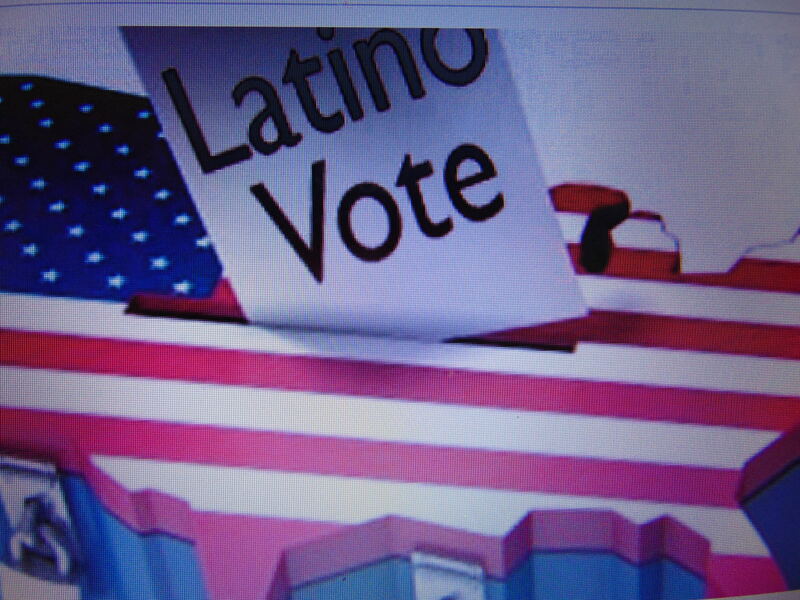 of Latino Auxiliary Unit 840 and others. 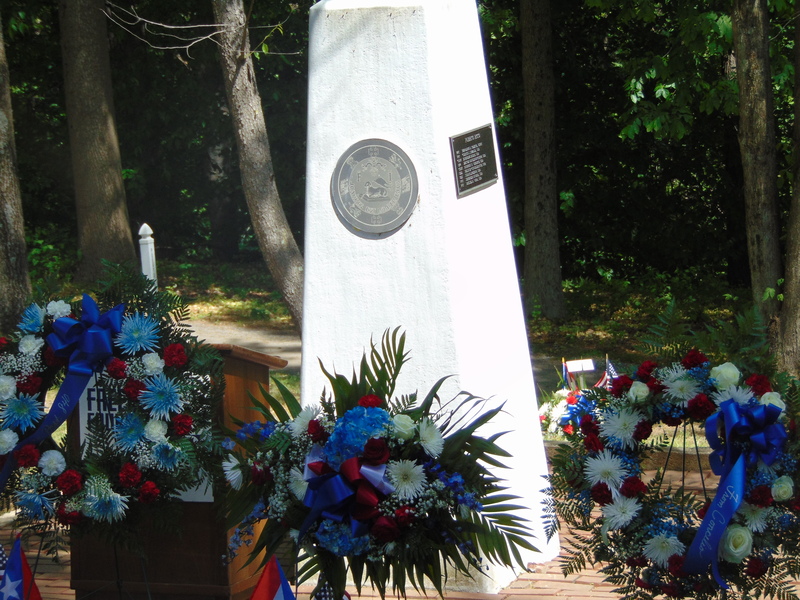 Wreaths were then placed around the Puerto Rican Monument to honor the Puerto Rican Medal of Honor recipients in a manner that Mr. Rivera noted, mirrored the practice of “Decoration Day” that began to honor fallen Civil War soldiers. Among the guest speakers, Samuel Rodriguez, a Veteran, Analyst for the Department of Homeland Security and Exec. 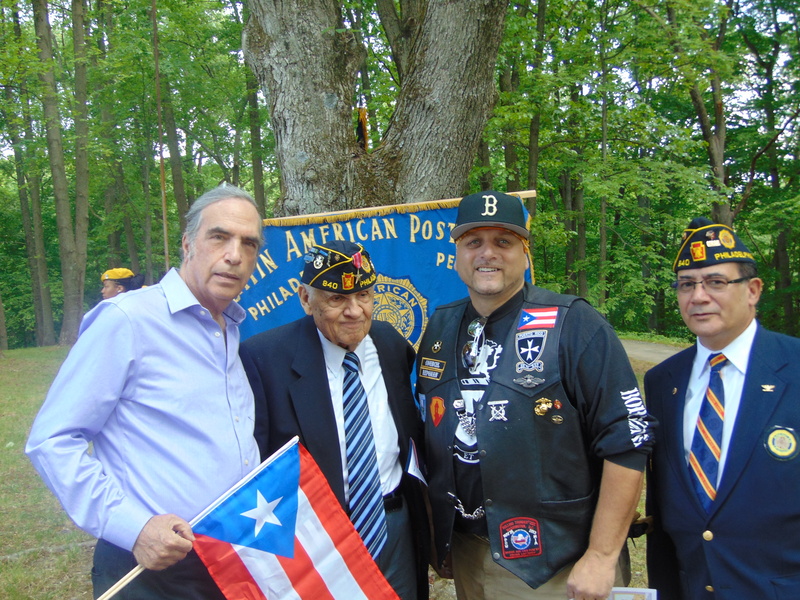 Director of “Borinqueneers Congressional Gold Medal Committee,” praised the integral role of George Perez, USMC Marine Vietnam and Special Asst. 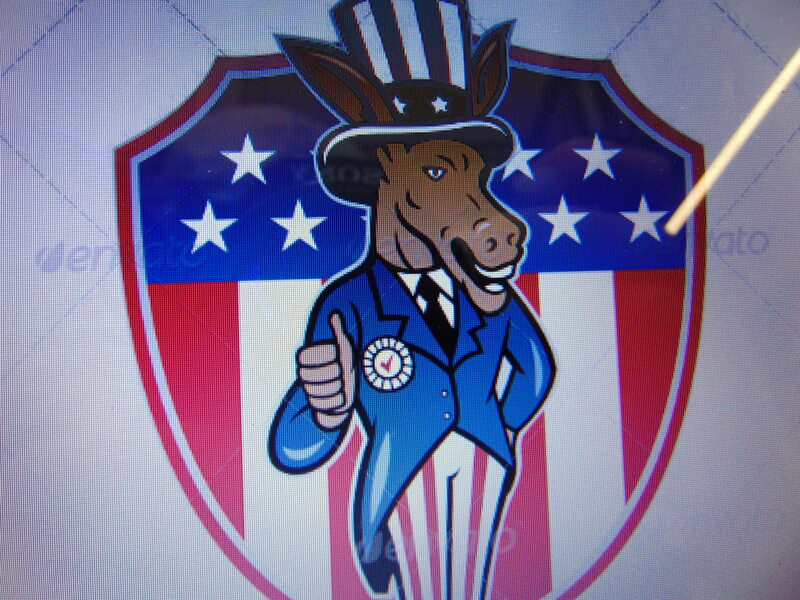 to U.S. Rep. Bob Brady and Juvencio Gonzalez, USMC Marine, and a Special Asst. to Lt. Governor Stack, in the pursuit of the Congressional Gold Medal. Once the CGM National Committee has decided on a design, the Congressional Gold Medal is to be minted in Philadelphia, according to Mr. Rodriguez. And the CGM Committee is still seeking funds to ensure that all of the surviving ‘Borinqueneers” can obtain a medal. Color Guard of Frankford H.S. and Edison H.S. 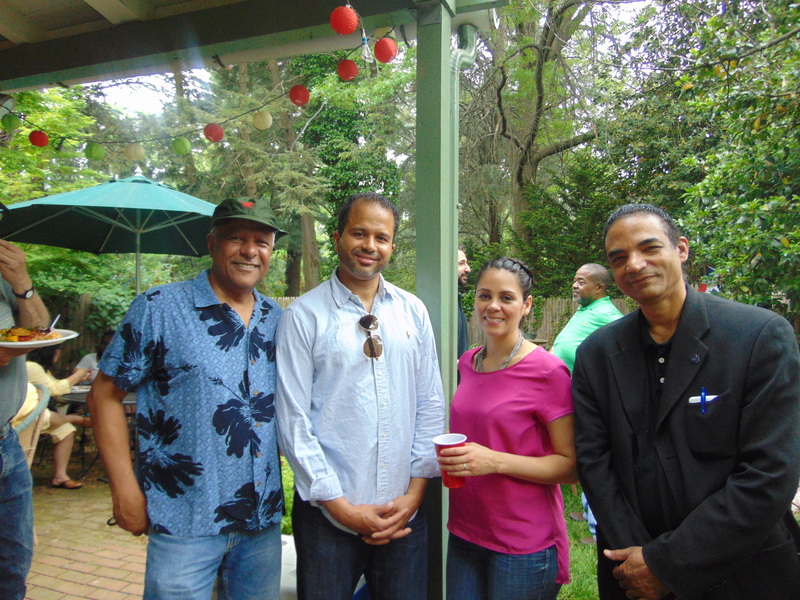 “They were relentless,” continued Melendez, delivering not only Pennsylvania, but also Delaware and New Jersey. George Perez, Special Assistant to U.S. Rep. Bob Brady on Veterans issues, was recently awarded a gold medal for his work on behalf of veterans in Philadelphia, a recognition of the Philadelphia Veterans Advisory Commission. The Keynote Speaker of the event was the longtime Mayor of Media, Pa., Robert McMahon (since 1992), who spoke of a 2 year-long effort to create the “Veterans National Education Program. The educational endeavor was undertaken by Mayor McMahon, a Veteran, in partnership with former Pennsylvania Governor Tom Ridge, a Vietnam Veteran and Staff Sergeant in the U.S. Army. 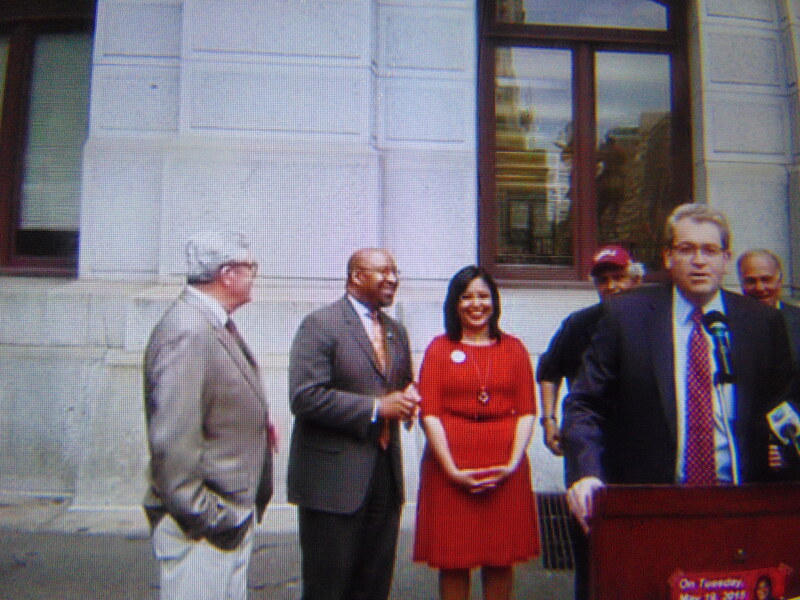 Mayor McMahon noted that when this year’s Hispanic Heritage Month begins in mid-September, school districts throughout Pennsylvania and New Jersey will, for the first time, be able to go to a web site and find comprehensive lesson plans and histories of the ‘Borinqueneers,” along with the extensive histories of the contributions of Latinos throughout the military history of the United States dating back to the American Revolution and Civil War. “Damn the torpedoes, full speed ahead.” The famous quote of the Latino Civil War Admiral David Farragut, was recalled by Mayor McMahon, as he explained to El Hispano the type of information and histories that teachers and Latino students will have access to on their education web site. Private First Class Fernando Luis Garcia, US Marines, was the first Puerto Rican awarded the Medal of Honor for his service during the Korean War. Defending an outpost one mile in advance of the front, an aggressive enemy night was launched on Sept. 5, 1952 against PFC Garcia’s Company I, Third Battalion, Fifth Marines. Despite suffering severe wounds, Garcia pushed forward through intense artillery fire to a supply point to secure more grenades. When PFC Garcia noticed an enemy grenade had been hurled into the area putting in jeopardy the lives of other Marines, he immediately threw his body on the grenade, and thus absorbed the full impact of the explosion. “His great personal valor and cool decision in the face of almost certain death,” sustains the tradition of the United States Naval Service, reads the Medal of Honor citation. Philadelphia – One mayor could be mistaken, two mayors could stumble into error, and even three mayors could go astray. But what is the likelihood of a current Mayor and three former Mayors being wrong? 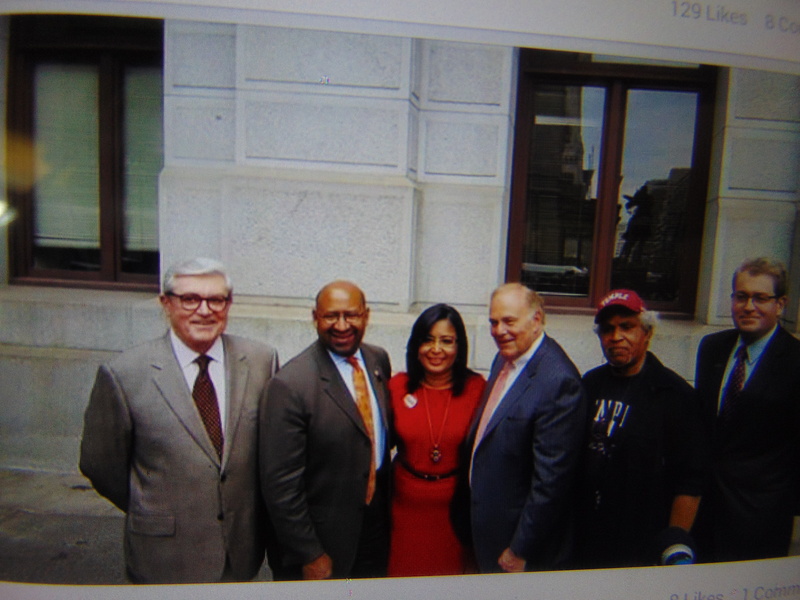 Facing a challenge to her 7th district Council seat, incumbent Councilwoman Maria Quinones-Sanchez received the endorsement of Mayor Michael Nutter, along with three former Philadelphia Mayors, last week. Besides Nutter, the group included former Mayors John Street, Ed Rendell and Bill Green. The seventh district stretches from Hunting Park and Feltonville, to the Frankford and Juniata Park sections of the city. 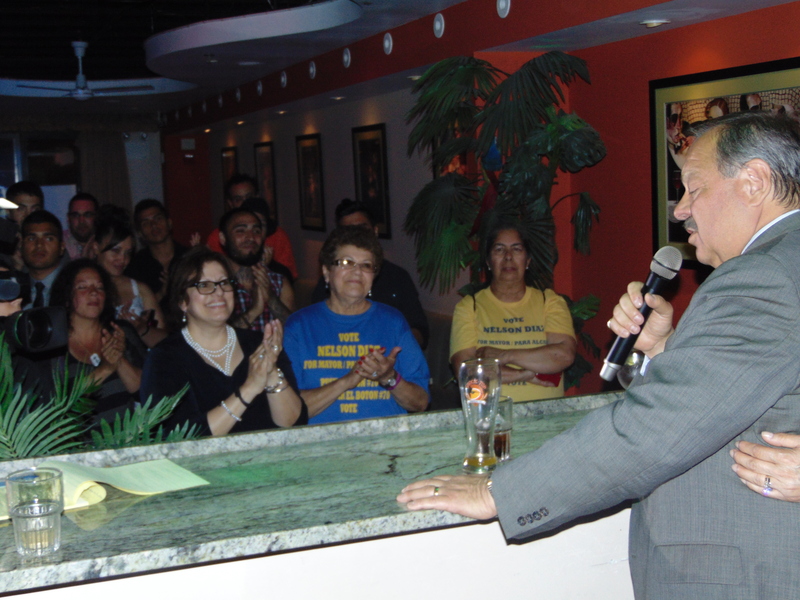 Waging a largely independent and grassroots campaign in 2007, Maria Quinones Sanchez won an overwhelming victory and went on to produce landmark legislation on such issues as tax reform; the ending of collaboration between local law enforcement and federal immigration agents regarding ICE detentions; and creation of a land bank. The historic tax reform bill, co-sponsored with former Councilman Green, has led to a 50 percent tax deduction for small businesses and made Philadelphia more competitive in manufacturing. “Philadelphia is open for business,” declared Quinones Sanchez. 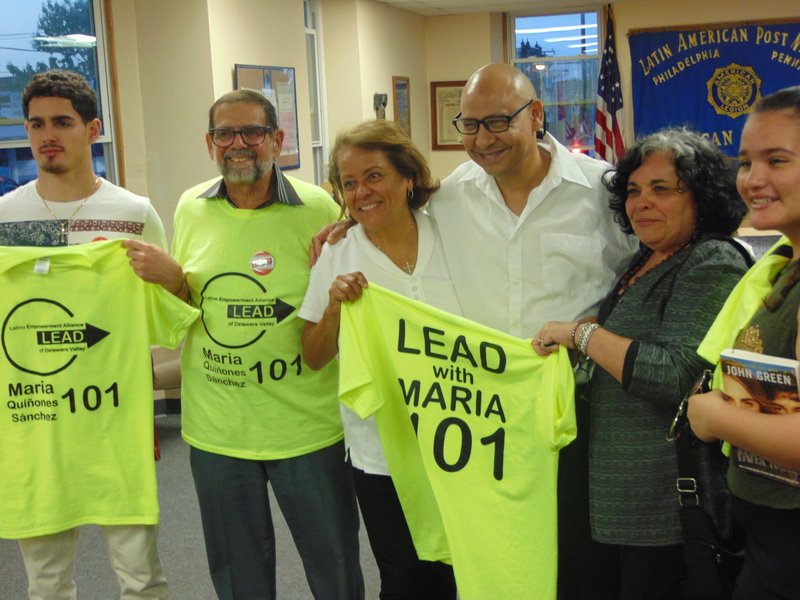 The controversial challenger, Manny Morales lost the city’s democratic party endorsement, but has received the backing of the Latinos United for Political Empowerment (LUPE). 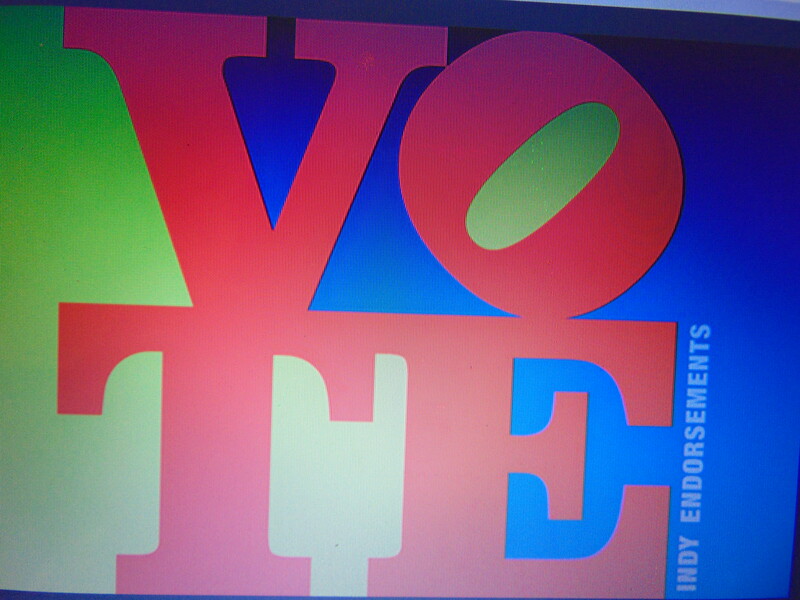 The closely watched Democratic primary in the 7th District is just one of Tuesday’s races. Councilman Bill Green worked with Quinones Sanchez on several bills.